American Society of Interior Design Shares Kristine’s Tips to Establishing a Successful Practice Early, important steps for your design business, from experienced ID attorney Kristine Kubes. Professional life has its phases: Education, examination, licensing/certification, practice. Although getting to the practice phase of life is the goal, it is actually only the beginning. Creating one’s practice requires one skill set; succeeding in practice requires another. In addition to the technical and ethical obligations critical to a strong design practice, a prudent professional in the 21stcentury focuses on the business side of design, those elements that support and strengthen a company and help take it to the next level of success. Here is a checklist to get you started. Selection of the right entity for the business (LLC, corporation, etc.) is critical in managing tax implications, managing risk, and protecting the owners of the company. A person who is has no legal entity may be held personally liable for the risks/responsibilities of the business. In today’s business world, that risk could be catastrophic in the event of a large claim. The best practice for any design professional would be to engage appropriate legal counsel to create a legal entity for the business that meets the designer’s needs. Risk management is a mindset, not simply insurance, but professional and general liability insurance are the critical foundation to protect any design professional. If the company also has an office and employees, then additional insurance coverage for the business space and the workers will also be needed. The best practice for any design professional would be to engage an insurance agent/broker knowledgeable in design to provide the appropriate coverage for the business. The contract is the necessary roadmap for any client relationship, setting forth the key terms and expectations of the parties to the agreement, and thereby minimizing the likelihood of conflicts and misunderstandings during the project or thereafter. Best practices include engaging legal counsel knowledgeable in construction and design to prepare a contract that is up to date on legal requirements, as well as understanding the contract terms, using a contract uniformly for every client/project, and maintaining a fully-signed copy of the contract in a safe place. A successful business usually puts the business owner into a challenging position, between all the tasks that need attention and the practical fact that each person only has so many productive hours per day. For instance, on any given day, a successful design business will require communications and/or meetings with clients, colleagues, and vendors; design time; product research; payroll; banking; bookkeeping; sales tax headaches; administrative time; travel time; etc. This conundrum often leads to the delegation of some duties out of necessity, because one must attend to these varying obligations in a timely manner. But, while the ability to delegate may be key to sanity as well as success, time and talent management requires two key qualities: Humility and care. A prudent business person must be humble enough to realize that s/he cannot “do it all” and needs help. That same business person also realizes that any persons on his/her team will be the face of the business and thus will take extreme care to choose candidates who are both trustworthy and talented, who share the same values about work, client relationships, communications, and ethics. Thus the best practices here are extreme care in selection of team members, followed by careful oversight to ensure that they are meeting the designer’s obligations. The legal implications of a company’s books are critical for proper business function, banking relationships, and taxation. Who is watching cash flow to make payroll? How aged are the accounts receivable? When are estimated taxes and/or payroll taxes due? The prudent designer may need to place these matters into the hands of a capable, ethical, and trustworthy bookkeeper and payroll company, and thereby free up his/her own critical time to run the design side of the business. Finally, the business-minded designer understands that culture in any organization starts from the top down, and understands that the world today involves a multi-generational, multi-cultural conversation – one that requires inclusion of – and respect for – all voices around the table; one that requires mentoring new talent and modeling ethical and inclusive leadership skills to the emerging professionals. These obligations fall on each design professional because, just as design impacts lives, so does each design professional in the way s/he leads the conversation for respectful and ethical relationships in the office, in the field, on the job site. 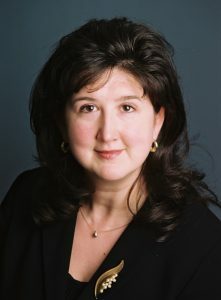 Kristine A. Kubes, kristine@kubeslaw.com, is an attorney and principal of the Kubes Law Office, PLLC, Serving Design and Construction Professionals. She is an ASID Industry Partner, incoming national Chair of the ABA Forum on Construction Law, and former Chair of the Minnesota Board of Architecture, Engineering, Land Surveying, Landscape Architecture, Geoscience & Interior Design. This article does not constitute legal advice. Each case must be evaluated on its own facts.